I think I’ll have to sit with this book a little longer to see what it’s lasting impact will be. For now I feel sort of ambivalent about it. It was certainly a unique read, but I’m not sure I could always suspend my disbelief enough to track with the story. 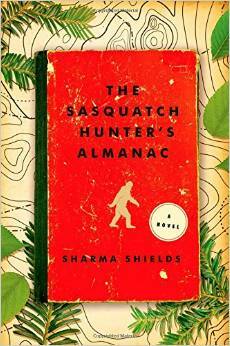 The Sasquatch Hunter’s Almanac: A Novel is a story set in a realistic settling, covering over 60 years beginning in the 1940s with heavy other-worldly elements, such as the sasquatch who Eli Roebuck’s mother Agnes introduces him to as Mr. Krantz right before running off with him. Eli is mostly happy with his father, but he begins an obsession with finding Mr. Krantz. That leads to a lifelong search, and a change in career from podiatry to full-time cryptozooligical study, including writing a book (with the same novel as the novel) and forming an organization for others interested in that pursuit as well. It’s not only the sasquatch that is magical. There are also ghosts, and a magic hat bought from a magic shop. They all come together to create a story full of a kind of dark magical realism. If you like this type of novel, as many do, this one has many original elements and characters. In the end, I think it was probably a bit odd for my tastes. It reminded me a lot of another book I read. See the related links below for the review.